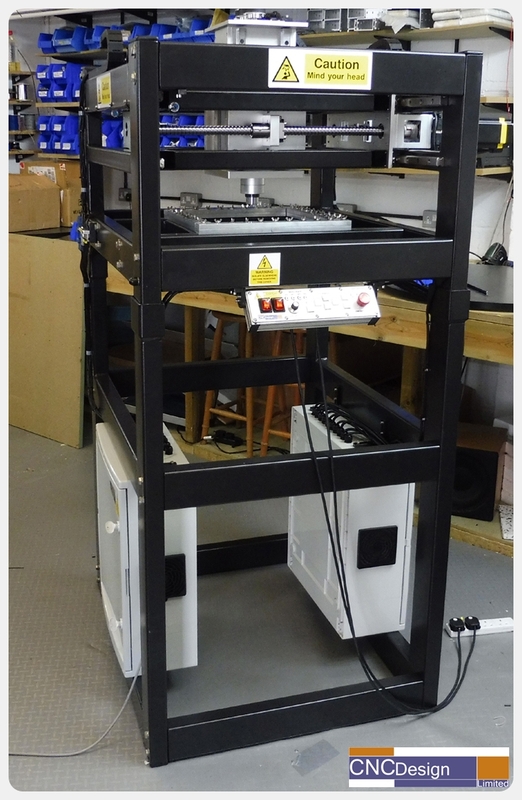 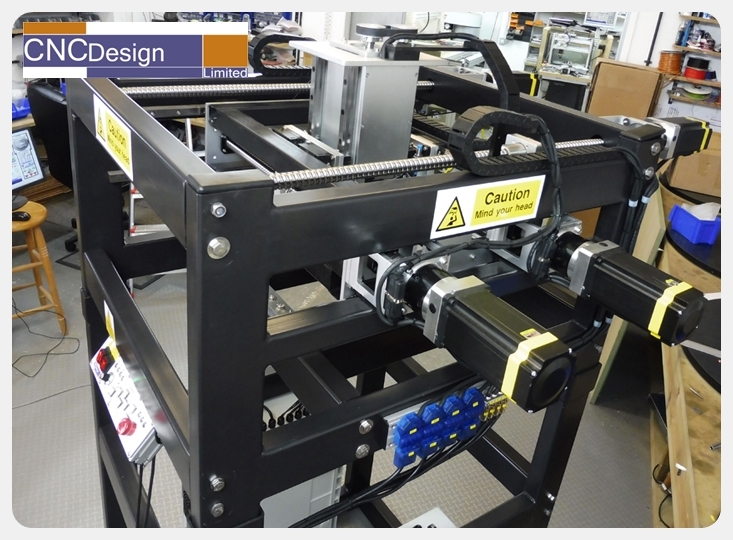 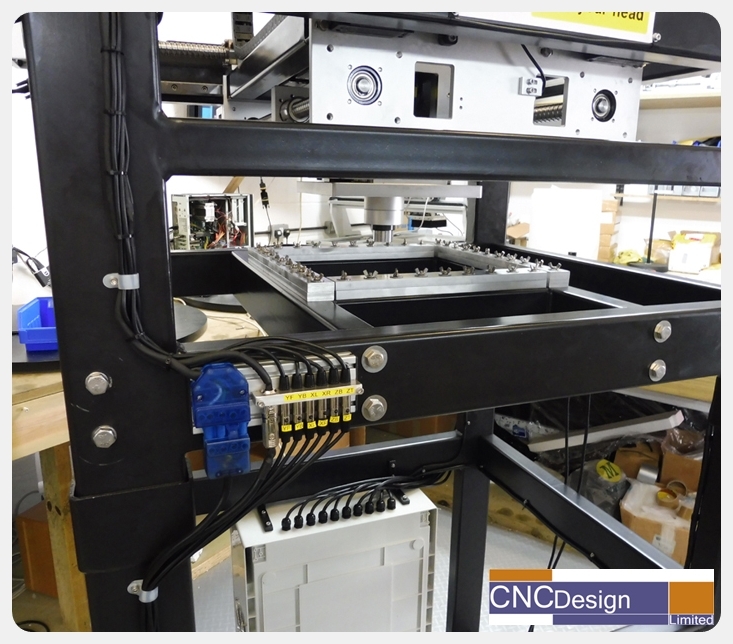 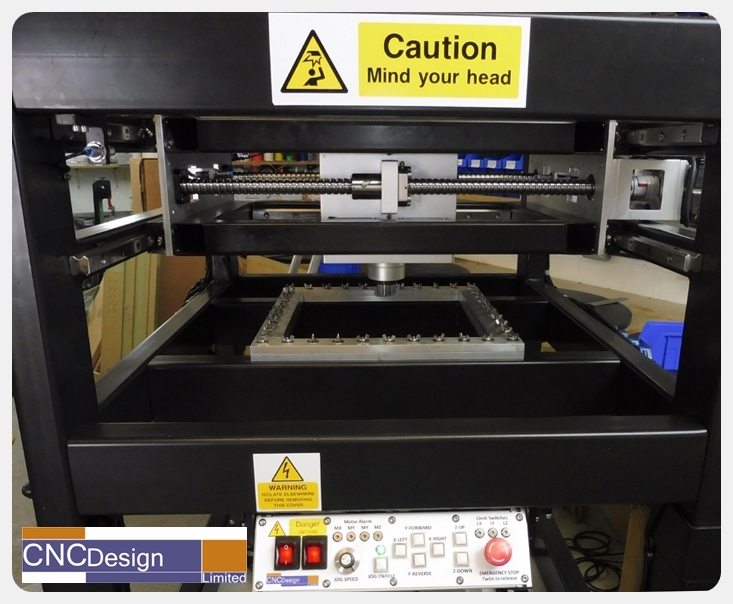 This design was a CNC Custom Metal Forming Machine for a University in the UK. 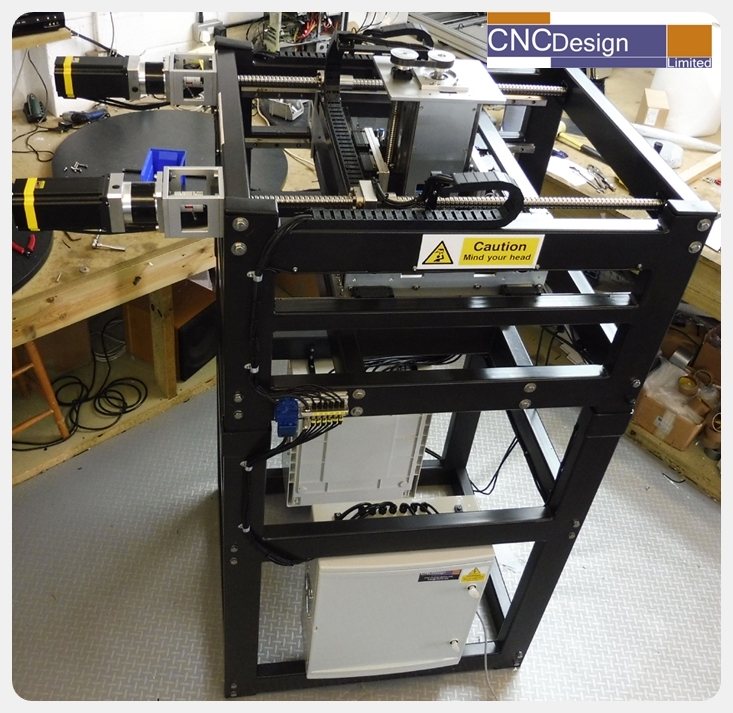 Because of the power needed to do the job at hand, the frame was made out of steel and heavy duty was the buzz word for this design, as well as keeping it compact. 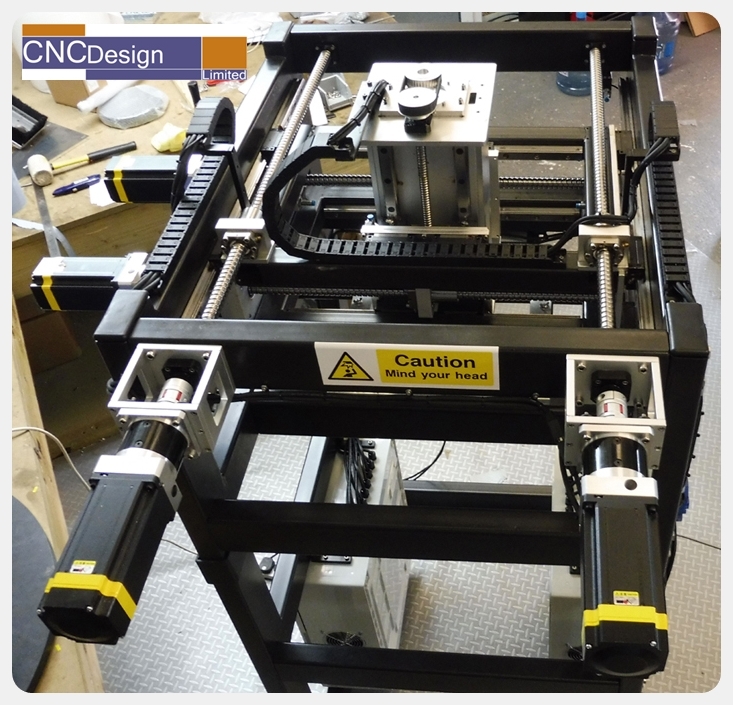 Dual big Torque motors on X-Axis and Y-Axis with 5:1 gearboxes were used to give the power needed.